Mint Crisps. Our delicious house blend 75% cocoa dark chocolate, infused with peppermint. 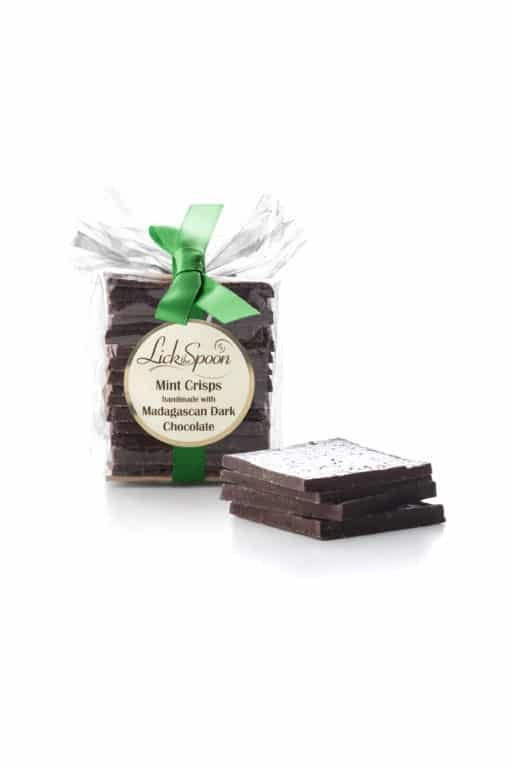 Our mint crisps have been popular for a number of years as dinner party gift, gift for a friend or simply keep them all to yourself! Gold award winner 2010 Taste of the West awards.